The Crooked Road’s second annual Mountains of Music Homecoming, a 9-day music festival and cultural event, represents the latest opportunity for our team to put its deep travel and tourism expertise to good use. This new site will serves as a portal for music and heritage lovers to explore the literally hundreds of concerts and activities available during the event which takes place in Southwest Virginia every June. 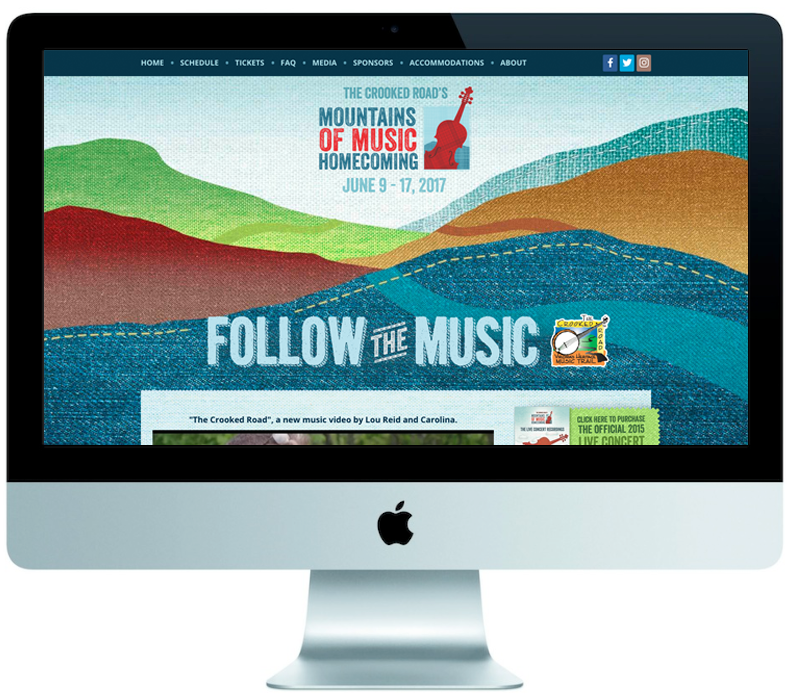 The design of the new site is informed by the brand identity Market Connections created for the homecoming, featuring rolling hills, rustic type and a signature fiddle.